This literature-based curriculum continues the Homeschool Complete series with lesson plans created around thematic units with a biblical worldview. The integrated, unit-study curriculum makes teaching more effective, and increases the child’s comprehension and retention of the skills. This curriculum is challenging but fun. 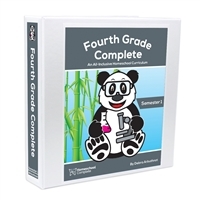 The teacher's manual includes the detailed lesson plans for all subject areas and the required student workbook pages. Bound in a sturdy three-ring binder so the pages are easily removable for daily use. Functions as a portfolio of your child’s work. 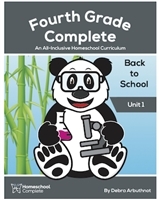 This is the first unit in the Fourth Grade Complete curriculum. 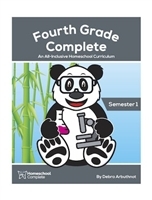 This is the second unit in the Fourth Grade Complete curriculum. 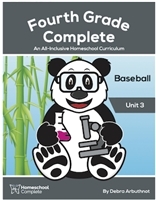 This is the third unit in the Fourth Grade Complete curriculum.